Don't want to buy new? The car is fixed now, but the airbag is still blown. Airbag prices from the dealer are much more expensive than buying used! 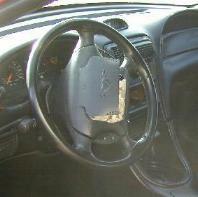 Used Parts Central has salvage yards and rebuilders that specialize in airbags only! By filling out our online request form, your search for airbags for your domestic or foreign car or truck will be over. And replacing them is easier than you think. Finding them is even easier! Just fill out our online parts request form below to begin your search.